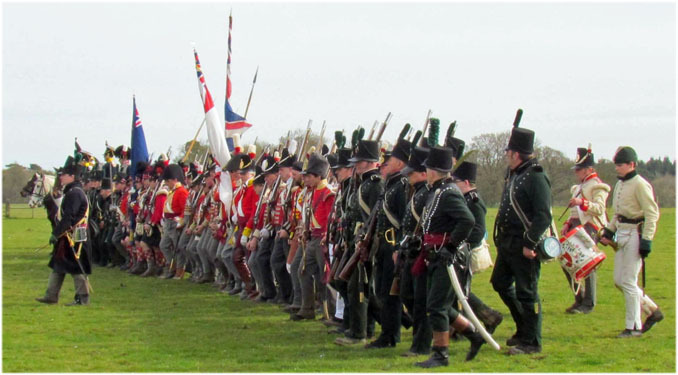 Under the auspices of the Napoleonic Association, 95th Rifles Living History Society representing 1st Battalion 95th (Rifle) Regiment of Foot (1/95) will be at Ickworth House, Suffolk, on Saturday and Sunday, 8-9 April 2017. The Society will be part of a living history representation of military life in the Napoleonic period. We are looking for recruits, interested in Napoleonic re-enactment and joining as a Rifleman? Come and see the 95thRLHS and look into taking the King's shilling. Click here for details on location, facilities, admission prices and entrance times.